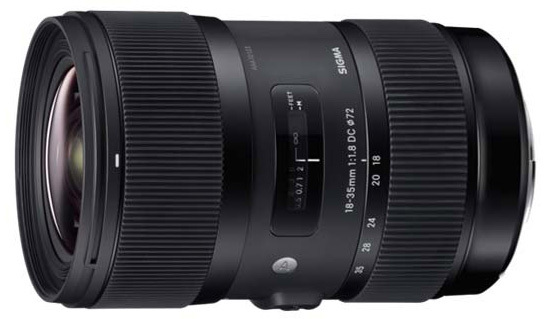 Rumors have been flying the last few days about a rumored Sigma 18-35mm with a constant aperture of F1.8. Many of us dismissed this as a pipe dream, Nikon and Canon don’t make 1.8 zoom lenses so why would Sigma be able to do it? At least that was my thinking when I saw it. Apparently Sigma is having the last laugh in that regard as they apparently confirmed the pending lens announcement to Fstoppers earlier today. In case you don’t know, this is BIG news. This would be the only zoom lens to ever have a constant F1.8 aperture, that’s right – no one else has ever done it. Wait a minute….. Hold on a Second…. Since when were Sigma innovators? I mean really, Sigma have had the reputation of being a cheap alternative brand to Nikon or Canon. But with the recent release of the highly acclaimed 35mm F1.4, and now this announcement it seems that Sigma is on a mission to change that reputation. I will hold my thoughts until I see actual results from people testing this lens out. The one caveat to this lens is that is is for crop sensors only – which is no problem for me and my D7000. But those of you who are Full Frame only or don’t have cameras with a Crop mode then this will likely not be much news to you. This is great news. Based on this I can say that I am officially exited for this lens with its internal focusing, constant F1.8, stylish design, exceptional build quality, and apparently good image quality I am sold. I can’t wait to get my hands on one of these to try out. Also, Sigma has uploaded their official page for this lens. The MTF charts that they have released look pretty crazy. Its going to be hard for this lens to live up to the hype, but if it does then I think Sigma has struck gold. What do you guys think about this announcement? Is Sigma crazy or genius? This will be a heavy lens – 800+ grams won’t be your average walk-around lens. I think 35mm (56mm equivalent) is a bit too wide, for me at least. I don’t know what a 17-50mm f/1.8 would be like, but that would be my range choice. Well sure, but just because someone says they are going to do something doesn’t mean it actually turns out that way. I don’t think any lens manufacturer labels their lenses as “alternatives” they always go by “industry leading blah blah blah”. my 85 f1.4 Sigma is a beautiful FF lens, I wouldn’t put anything past them! I can’t wait to use this in conjunction with the Metabones SpeedBooster for micro4/3 mount for my GH3 or the BMCC or BMPCC! I agree, I can easily see this starting around $1500 – maybe even a little higher. Too much higher though and people wont want to spend that much on a crop lens. very interested in seeing a price! agreed. Most crop sensor shooters are of the low budget variety, so price will be a big tipping point for this lens.